Amay Web Design and Development is a small, Sunshine Coast business, offering friendly, professional and personal service to our clients. When setting up a bricks and mortar store, you put a lot of thought into the location, size of the premises, and the general appearance of the building. You want your premises to have passing traffic and be visually appealing to entice customers in. This should be true of your website, as well. You want a design that is not only attractive, but will appeal to site visitors, to encourage them to browse, purchase and become return customers. Amay Web Design understands this, and strives to meet all your website development needs, whether that is building your web presence from scratch or overhauling your existing site. I approach each project with a passion for imagination and innovation. My speciality is creating functional, attractive websites with WordPress.. Amay delivers high quality, innovative and cost effective web development solutions utilising the latest technologies and web design concepts. Amays’ emphasis is on conversions, modern design, and a great user-experience. Furthermore, once your WordPress website is built, we can maintain your site for a monthly fee. While Web Design is our focus, we do offer other services such as Search Engine Optimisation, marketing, social media integration and more. In addition to great service, we work within your budgets and timeframe! Our main focus is building functional websites that are visually appealing, while being easy to navigate. We proudly use, and support WordPress as the best CMS. Amay Web Design believes that no project is too small, so no matter your budget or website requirements, we will be excited to work with you. Contact us for a quote or more information. BARGAIN WEBSITE PACKAGE - OUR BEST SELLER !! WordPress is our CMS of choice, bcause it is the largest content management system with millions of sites using it today. WordPress is open-source meaning it is free to download, use, edit and redistribute. It is versatile enough for any site to be built with it. There are many free, and premium, themes and plugins. In fact, our site is built using WordPress! 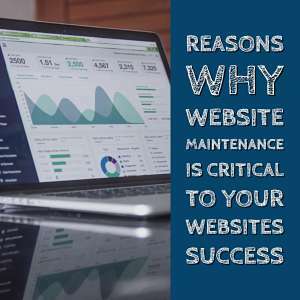 AMAY WEB DESIGN offers monthly website maintenance packages, but if you wish to maintain your site yourself, You Can ! – just log into your WordPress dashboard to gain access to all of the tools needed to continue to develop, design, edit and grow your site. PREMIUM WEBSITE MAINTENANCE IS OUR BEST SELLER ! We offer an hourly rate or by selecting one of our complete website packages. We are a small business, just like you, therefor understand that in the current climate, we are all looking for value for money when it comes to business expenses. As a freelance design company, our overheads are lower, meaning we can pass on those savings to our clients! AMAY WEB HOSTING, is a division of Amay Web Design, and offers discounted website hosting, domain registration and renewals, email, WordPress hosting, secure SSL certificate and everything else you need to get your site up and running. Lots of inclusions and value for money! "Highly professional and responsive I would recommend Amay Web Design for anyone looking to develop a website. I found their attention to detail, communication, knowledge and reliability to be first class. All this at a very reasonable price. Am thrilled with my website."